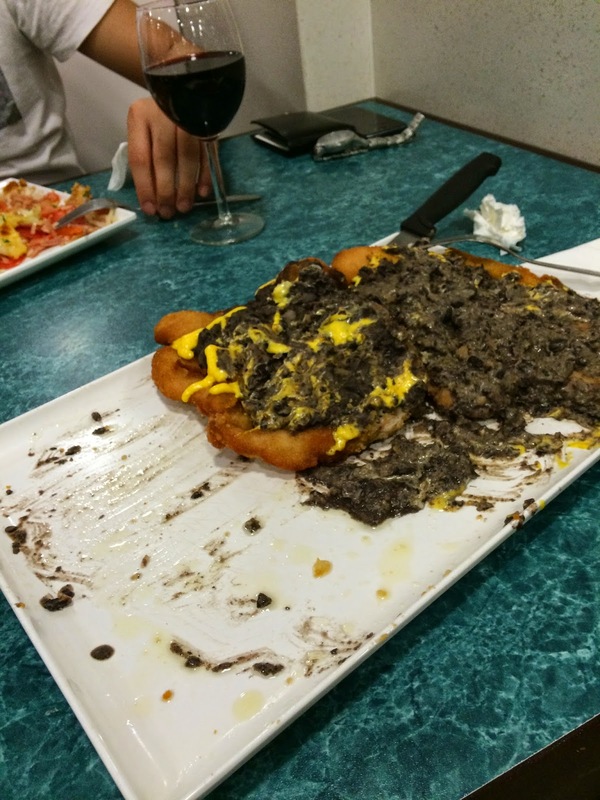 Have you ever ate too much and regretted it? 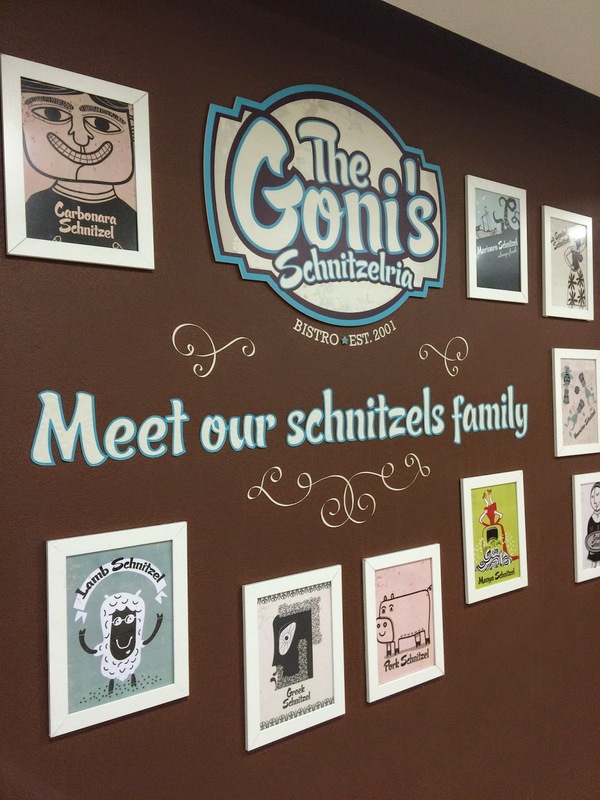 I did after going to Goni’s Schnitzelria, the home of massive schnitzels. With over a dozen different schnitzels to choose from, I somehow ended up with the most unappealing looking one. 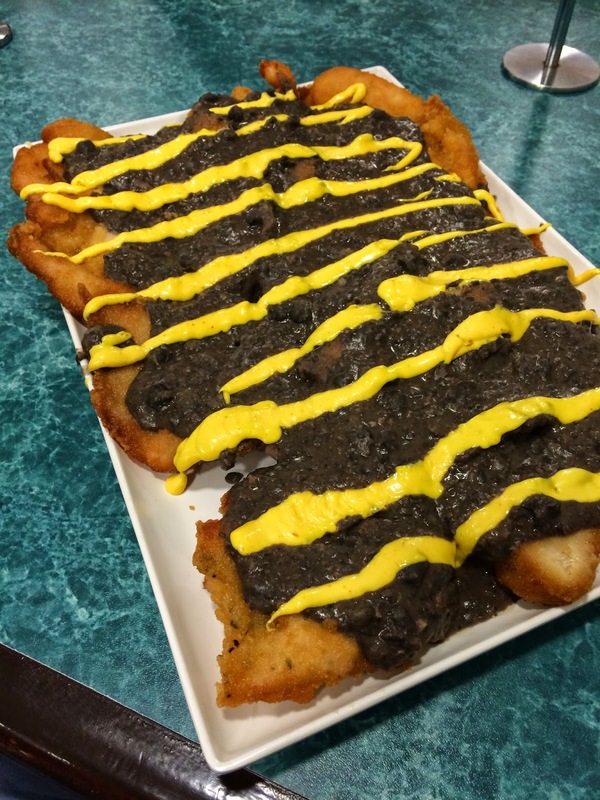 The Manya Schnitzel is doused with refried black beans and lashings of peri per mayo. This “schnitzel” is more like 6 pieces of chicken on a plate. After an hour of trying to dismantle this monstrosity, I gave up. The chicken was dry and flavourless, the black beans sauce wasn’t very appetising. The only reason I managed to eat as much as I did was my ego. I tried, I failed and I regretted. In case you are wondering, I don’t have tiny hands. The schnitzel was waaaaaay too big. I understand it’s probably designed to feed a family of 4 but still the lack of flavour and dryness of the chicken has put me off. 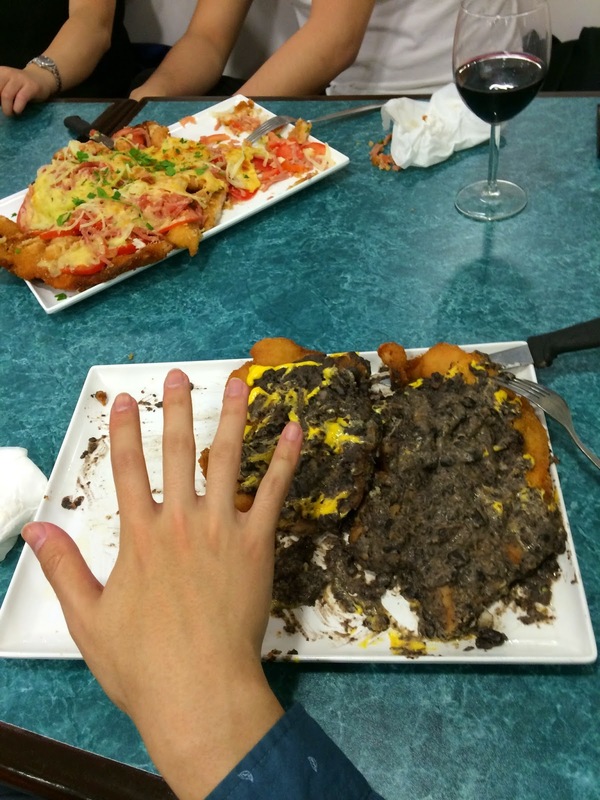 What’s the largest meal you’ve had? Let me know in the comments below!